For edit two, a limited edition collaboration with luxury craftsman and neckwear specialist, Paolo Albizzati. A special collection designed exclusively for Garrison Essentials takes a distinct approach to reimagining the modern knit tie. All Colours have a reversible navy back. Available in Brown, Purple, Burgundy, Medium Blue and Dark Grey. 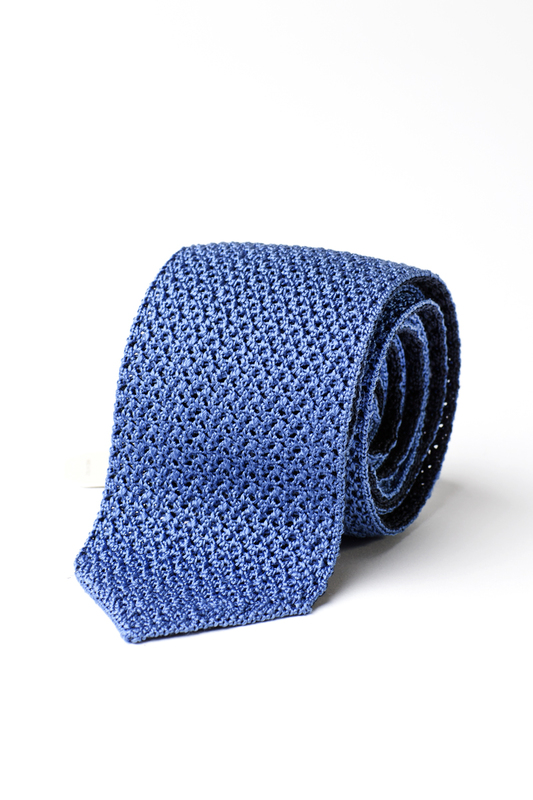 The tie is designed with a double face making it reversible. One side in a solid navy and the reverse in one of five core colours. Made to be switched around accordingly depending on the shade of suit or look. Wear it solid or with the back blade reversed creating a distinct detail and contrast pop of colour. 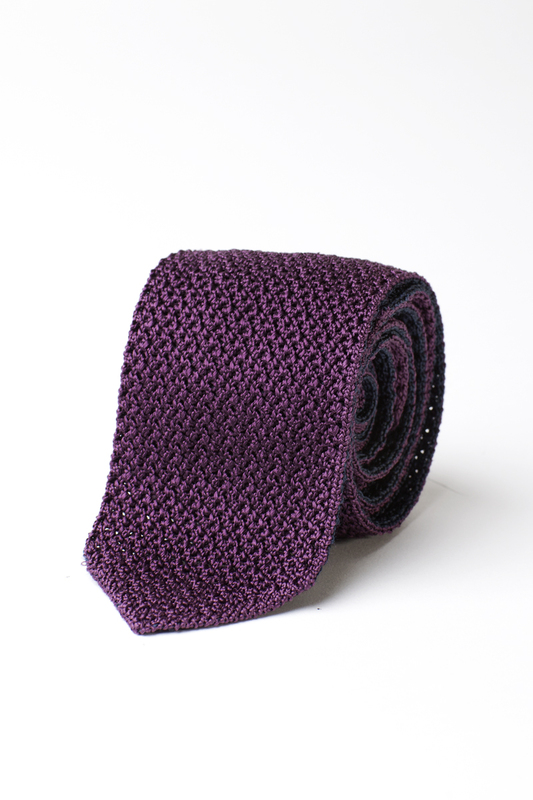 Crafted with 100% lustrous silk in Italy gives the tie a luxe appeal and versatility for business and casual settings. Adding a pointed bottom instead of the traditional knit 'square' bottom puts the finishing touch on a fully versatile tie. Based in the Province of Varese, Italy just outside of Milan, Poalo Albizzati has been making ties since the 1960's. Everything is done in house, cutting, tip, stitch, finishing and quality control.